Are you ready to be a part of the strongest threat to the universe? Well, in a galaxy far, far away there is a group of powerful villains that have been behind the rise of evil and chaos. We are of course talking about the Sith. With the help of the Dark Side of the force, the Sith have helped the Galactic Empire and the First Order expand their rule across the stars. Why? Simply, to gain absolute power and to take out as many of those pesky Jedi as possible. If you think you’re ready to join the ranks of the most notorious warriors throughout all the galaxies then we’ve got just what you need! Check out this Adult Sith Robe. It’s the perfect attire to pledge your allegiance to the Dark Side. 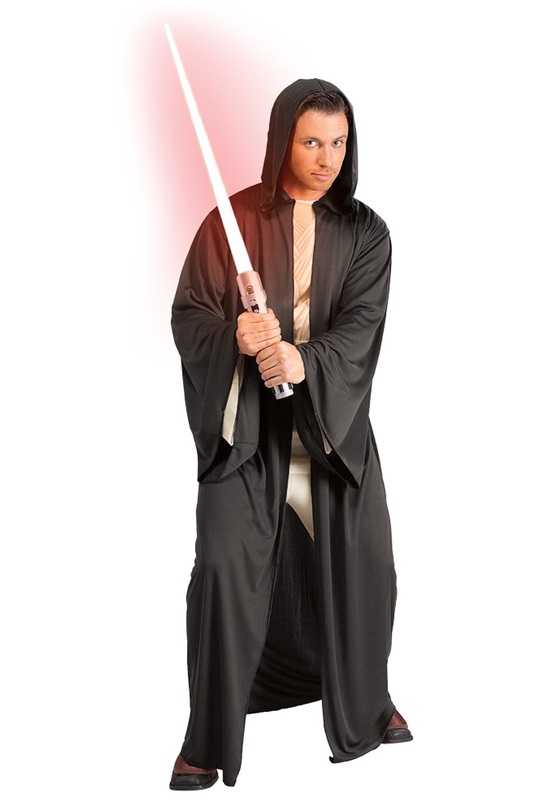 Transform into the most powerful Sith Lord anyone has ever seen this Halloween. Surpass the likes of Maul, Tyranus, and even the infamous Vader when you finish your Star Wars themed outfit with this long black hooded robe. You can add this dark robe to one of our Jedi Costumes and be a fallen knight from the Jedi Order. You could also add it to the black garbs of our Darth Maul costume and be raised from birth in the way of the Sith, having the sole mission to bring chaos and destruction into the universe. The choice will be yours and we just want to make sure you look fierce as those that have walked the path of the Sith before you. With this Adult Sith Robe, you can be sure that you’ll be the most intimidating force in the galaxy!